How many couples can the show sustain? We’ve watched Ann and Andy break up and April and Andy start a tentative romance that moved on to a seemingly impulsive wedding that has resulted in a very supportive and delightful marriage. Great! Mazel tov for then. We saw Leslie through a handful of relationships until she met Ben. They had a few do-si-dos about getting together before also getting married. We’ve seen Ron catastrophically reunite with his ex-wives, and Tom get divorced and start dating again. Jerry is married to Christie Brinkley. The only person whose love life we haven’t seen much of is Donna’s, though by her own account she does just fine. Chris dated Ann, and then he dated Jerry’s daughter Millicent. Lest we forget, Mark Brendanawicz was once a character on this show, too! Anyway, that’s a lot of coupling. (Get yours, Joan Callamezzo.) Ann and Chris’s story lines were re-converging on them getting back together and raising a child — which is at least one couple too many. There was nowhere for Ann to go anyway. Rashida Jones is great. 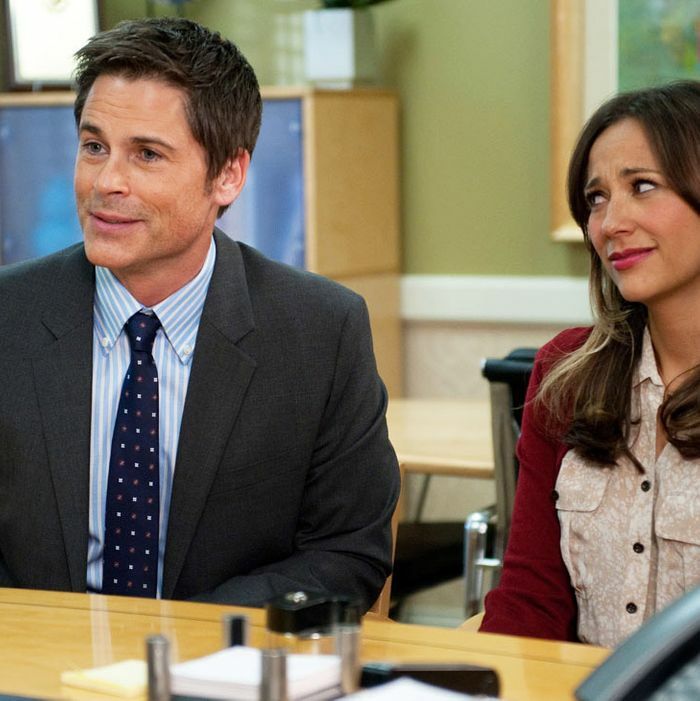 But Ann Perkins has never had a meaningful story line, and the series’ recent focus on Ann’s desire to be a mother felt out of place. In an ensemble filled with oddballs and Ron Swansons and Andy Dwyers and Jean-Ralphios and April Ludgates, what’s Ann’s thing? She didn’t have one, and her role as the frequent voice of reason made her a comedy obstacle more than an engine. Ron’s ultralibertarianism can build and build in a scene until he’s pulling a survival pack out of an air vent or talking about the gold stash he has accumulated. It’s harder to find humor in reasonableness, so Ann’s comedic plots don’t boil over into hilarity or ridiculousness. She just stays … pretty much responsible. Plus, as the person who tries to support Leslie but also reason with her, Ann has been totally usurped by Ben. Chris was running out of steam, too. His healthfulness obsession was a frequent source of hilarity — and “stop pooping” might be one of the show’s greatest lines ever — but Chris’s descent into depression and despair followed by his ultraenthusiasm for therapy seemed like straw-grasping and not real character development. (Contrast that, say, with April’s professional development over the course of the show, which has seemed very organic to the character.) Other than to live for 150 years, what does Chris really want? What’s standing in his way? I can’t answer either of those questions. Maybe this indicates a refreshed focus on storytelling. To be clear, Parks and Rec is fantastic and I love it very much. But I did not love everything about last season; for example, Councilman Jamm. You can’t heighten obstinacy, so Jamm winds up just being an arbitrary obstacle in Leslie’s path toward greatness. She wants to do something, he opposes it — and that’s it. But Leslie’s far more interesting and funny when there’s wiggle room, when there are multiple ways to solve a problem, and Leslie comes up with the Knopeist one. Both Chris and Ann have served as narrative roadblocks, like Chris forbidding Ben and Leslie to date, or Ann believing in nutritious diets, and without their characters, maybe Leslie et al will tackle different kinds of problems than they have in previous seasons. It seems like we know more about Shauna Malwae-Tweep than about Donna Meagle. Andy gets Burt Macklin, Tom gets his entrepreneurial stuff, but where are the separate Donna stories? Perhaps without Ann and Chris, there will be more airtime for her. And now she won’t have to explain to anyone who Ginuwine is.